A South Wales and borders domestic care provider has seen its Abergavenny branch win a prestigious gold Investors In People (IIP) Award. Q Care provides personal care, domestic services and social companionship services. Its Abergavenny branch achieved its first IIP Award in 2003 and has been accredited every three years since. Staff were invited to try for a bronze, silver or gold award IIP Award – and were thrilled to achieve the highest level, gold, which will apply from 2016-2019. 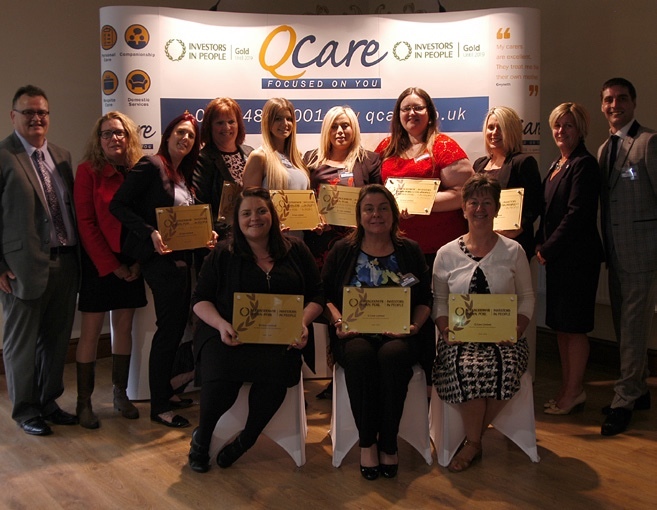 Chief executive of Q Care, Tony Dainty, said: "Everyone at Q Care is thrilled with the Gold Award, which is a very public affirmation of our core values. Caring about people is what it’s all about, whether they are our clients, our staff or our business partners. "We now take our place among the top seven per cent of the accredited IIP organisations, demonstrating our commitment to high performance through exemplary people management.